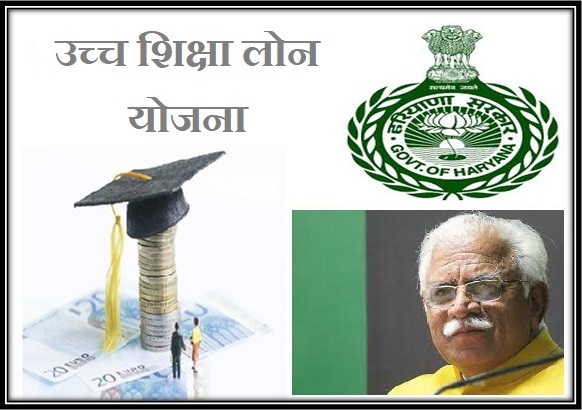 The Haryana government has launched this higher education scheme for the poor and underprivileged girl students of the state. Under this scheme, these students shall get loans for complete their higher education. It is only for those who are unable to continue their studies due to financial constraints. Target Audience The main effect of the scheme would be to help the girl students from the financially weaker sections of the society. Girl students from underprivileged backgrounds will also get the opportunity to study abroad with this type of loan. They will be provided loans for courses in both India and abroad. Interest rate – The education loans will be provided at a subsidized interest rate. The rare of interest for such loans shall be 5% only. Girls from SC or ST or OBC or General are all eligible for this scheme. They can all apply for this scheme irrespective of their castes. You have to be a permanent resident of Haryana to be eligible for this scheme. Also, you must have attained at least 18 years of age. Your minimum educational qualifications should be 12th Also, you will have to disclose your family’s yearly income. Courses under the scheme: You have to take admission to courses such as – business management, technology diploma, honors graduation and post graduation to obtain this loan. This scheme is also open to all students irrespective of their marital status, given that the girl wants to pursue higher education in any of the streams mentioned under the eligibility criteria. The loan amount will be given to the banks directly. The students will have to provide their bank account and IFSC code where they want the loan amount deposited. This scheme will ensure that the education ratio of the state is put into balance. Right now the literacy rate of Haryana is 67.91 per cent and it is higher than the national average of 64.80 per cent. However, the literacy rate among SC/ST female is lower (42.26%) than the national average (55.45%) – the same is not true for male SC/ST candidates. With this scheme, the government wants to bring a balance in the education ratio among girls, so that the state manages to surpass the national average. With the launch of this scheme, the government aims to ensure that women from all sectors of the society get equal opportunities. It will also help ensure that more and more girls come forward to obtain higher education. An interested individual can also attain necessary details by calling up the number 0172-2585271.